Raneem has been active in the EDM scene since 2008, with releases on Armada, High Contrast and Spinnin’ Records. 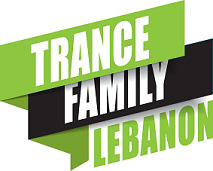 Raneem has been getting support from Armin van Buuren, Tiesto, Markus Schulz, Cosmic Gate, M.I.K.E. (Push), Bobina, Leon Bolier, W&W, and many more. Raneem currently lives in Montreal (Canada), He holds a residency (Drop Zone Live) at CIRCUS Afterhours club where he is known for his 7 hours sets. Raneem also took parts in some of the biggest festivals such as “Bal En Blanc” and “Black & Blue” He has shared the decks with Gareth Emery, Markus Schulz, Sander van Doorn, Cosmic Gate, Dash Berlin, Roger Shah, W&W and many more, always leaving great impressions on the dancefloor.